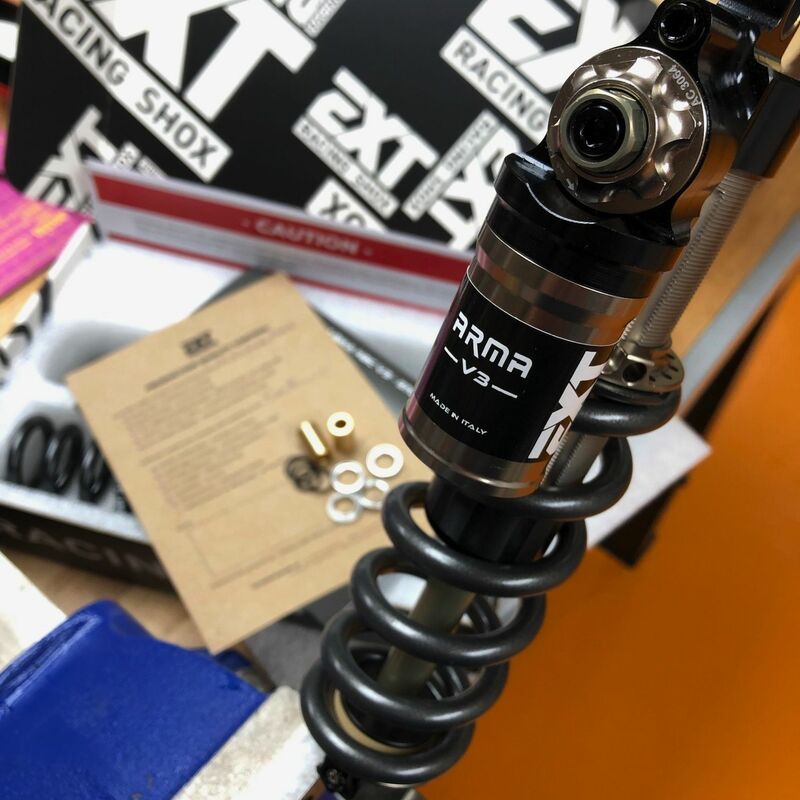 EXT's V3 ARMA Shock is the more DH focused shock in the range. The main valving system is very similar to the Storia so if your bike doesn't need lock out it's also an option for a trail bike. There is a low speed compression adjuster which uses a 4mm allen key, a high speed compression adjuster which uses a 12mm spanner and a rebound adjust.